YourTrip are now offering amazing holiday experiences in Latin America, but how exactly do you get there? This short article looks at what we think are the easiest and most comfortable ways to get to Latin America. The flights to Latin America we’ve looked at is just our suggestions. It’s not an exhaustive list, as there are many ways to get there, depending on how long you want to travel. Some other guides we’ve read suggest going via the middle east or Europe. There are clearly options, but in our view not the best way to start your holiday refreshed. The most common way to get to the South American continent is via Santiago. Santiago is the vibrant capital city of Chile and is the first piece of South America you’ll come across when flying from Australia. While Santiago might be seen as just a gateway to other destinations, it’s worth taking a few days stopover here on your way. The Andes mountain range provide a spectacular year round backdrop to the city. 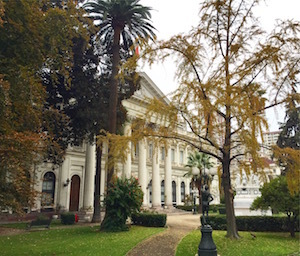 The various neighbourhoods of Santiago offer a diverse variety great food, nightlife and a rich cultural history. It’s nice to take some time and adjust to the time zone before continuing onto other parts of the continent. Australian passport holders are required to pay a US$117 “reciprocity fee” upon entry to Chile. If you’re just transiting, you don’t need to pay. Qantas flies four times each week direct from Sydney to Santiago. These flights depart Sydney on Sunday, Tuesday, Wednesday and Friday’s just after midday and land in Santiago about an hour before you depart due to the time zone change. The flight time of just over 12.5 hours makes it quite an easy journey. 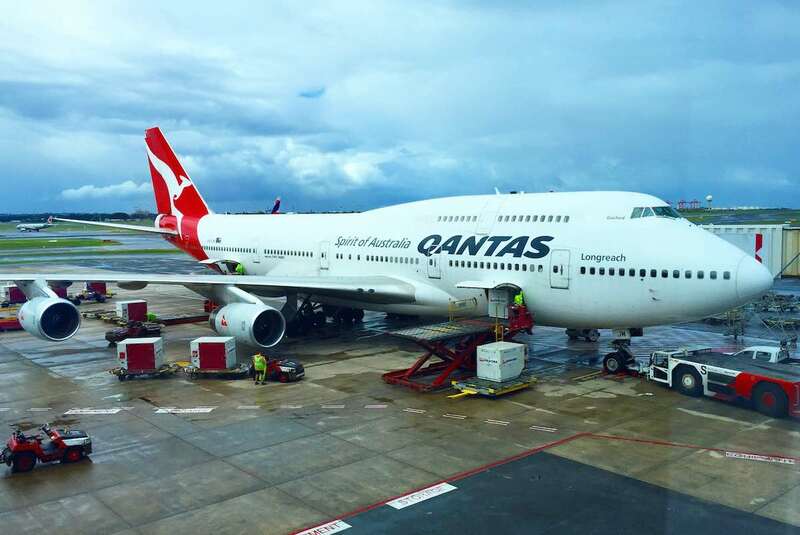 Currently Qantas flies the 747-400 aircraft into Santiago. Despite the aircraft being the oldest in the fleet, almost all have been updated with A380 interiors to provide a comfortable ride. On arrival in Santiago, you can easily connect to several destinations in Latin America via codeshare partner LATAM. Although this option is best for Sydneysiders, travellers from other capitals can easily connect on the same day. 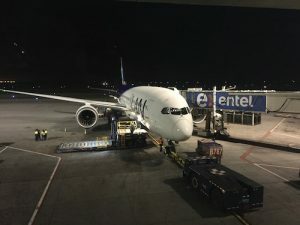 LATAM may not be familiar to first time visitors to South America, it’s a major airline on the continent operating a modern long haul fleet of Boeing 787-9 aircraft to Australia and New Zealand. With daily flights from Sydney to Santiago, LATAM fly with a short stopover in Auckland each way. In 2017, LATAM also launched a three times a week direct service from Melbourne to Santiago. This service runs on Sundays, Tuesdays and Fridays and provides the only direct flight from Melbourne to South America. With a flight time of 13 hours and 15 minutes, and an evening departure and arrival, it’s great for grabbing some sleep. The modern 787-9 aircraft has a lower cabin pressure and higher humidity which reduce the effects of jet lag. 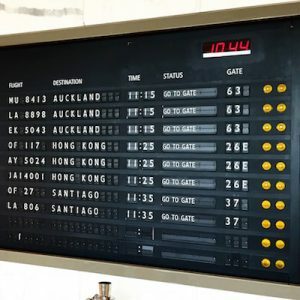 As mentioned earlier, LATAM fly to Sydney via Auckland and travellers are able to connect in Auckland to this service to arrive in Santiago mid afternoon. If you’re in Melbourne or Sydney, this adds time to the journey, so try and travel on a day where there is a direct flight instead. If you’re heading to Argentina or Brazil, Air New Zealand offers a three times a week service direct from Auckland. This service departs on Sundays, Wednesday and Fridays and is under 12 hours from Auckland. If you’re travelling to Peru, Chile, Ecuador or anything on the west of the continent, this option will mean you’ll have some backtracking to do. Because of the double stopover required, we wouldn’t suggest this route unless you were wanting to also visit Argentina. 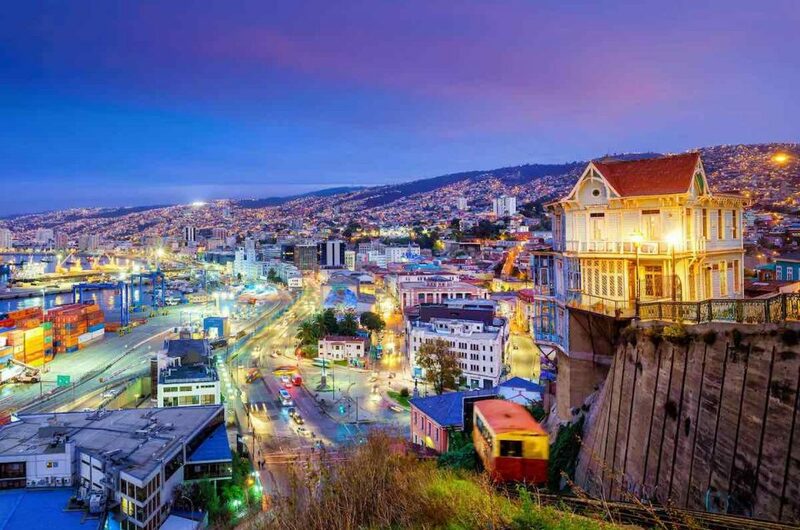 Once you’ve arrived on the continent, you’ll be ready to start an amazing holiday exploring some uniquely Latin American destinations. We can assist you with booking your flights to Latin America with one of our travel agent partners. You can also book you’re own flights direct with Qantas or LATAM. Still not sure where to find Latin America on a map? Explore our guide on Latin America. Enjoy your flight.